Focus Features breaks their Eastern Promises! As being reported by Collider, the once thought to be slated film Eastern Promises 2 is no more. Focus Features has apparently pulled the plug on the sequel to 2007’s (you guessed it) Eastern Promises. Eastern Promises 2 was scheduled to begin shooting in October. 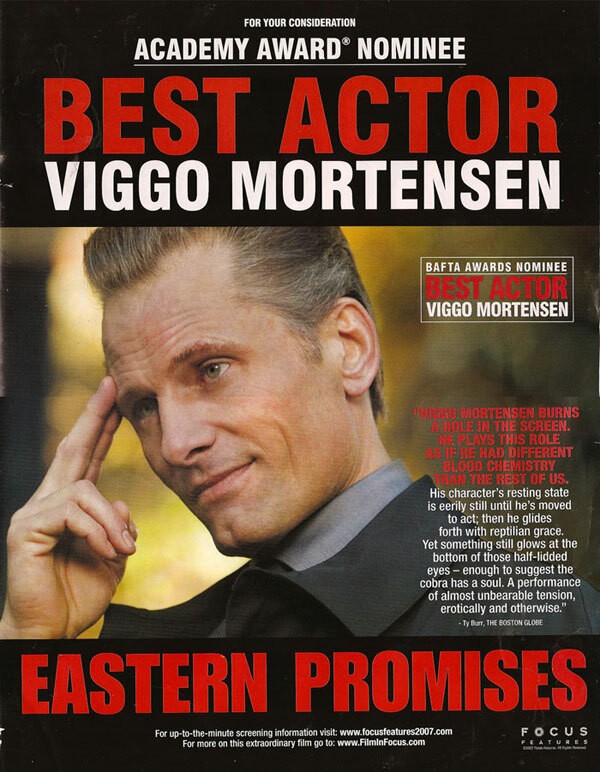 This entry was posted on Tuesday, August 14th, 2012 at 4:10 PM	and tagged with David Cronenberg, Eastern Promises Sequel, Viggo Mortensen and posted in News, Paul. You can follow any responses to this entry through the RSS 2.0 feed.